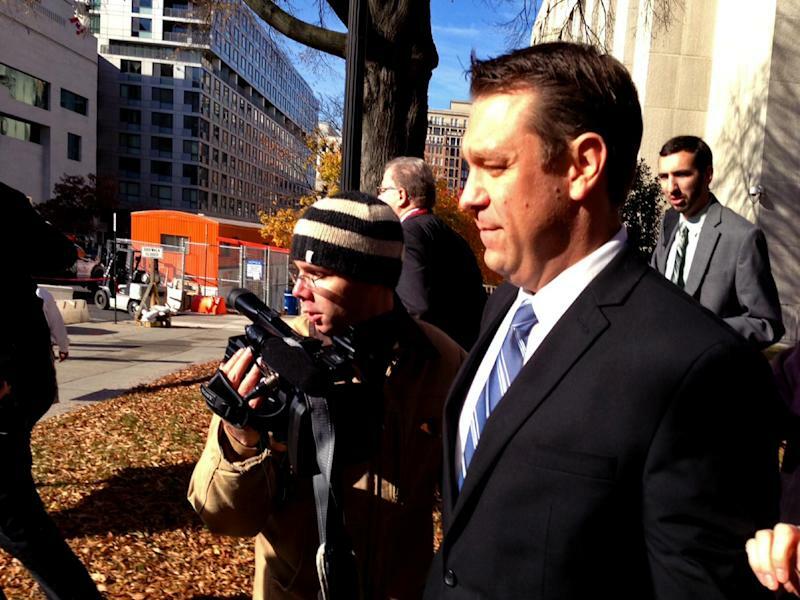 WASHINGTON (AP) — Florida Rep. Henry "Trey" Radel has been charged with cocaine possession after what a federal law enforcement official described Tuesday as a "buy and bust" operation. In a statement expressing regret, the 37-year-old Republican freshman lawmaker said he struggles with alcoholism and intends to seek treatment and counseling. Radel made no mention of his political future but said he had made an "extremely irresponsible choice" and had let down his family and his constituents. He was scheduled to appear Wednesday morning in District of Columbia Superior Court. A one-sentence charging document did not add any details about the allegations. A Drug Enforcement Administration official said Radel allegedly bought cocaine from an undercover agent in Washington's Dupont Circle neighborhood on Oct. 29. Later that night, federal authorities went to his apartment and informed him that he would be facing criminal charges related to his purchase of cocaine. The official, who spoke on the condition of anonymity because he was not authorized to release details of the case in his own name, said Radel was identified to authorities as a cocaine buyer by his suspected dealer. The dealer had been previously arrested as part of a separate drug investigation led by a federal task force. DEA spokeswoman Barbara Carreno confirmed that the charge resulted from a joint DEA-FBI investigation. "In facing this charge, I realize the disappointment my family, friends and constituents must feel. Believe me, I am disappointed in myself, and I stand ready to face the consequences of my actions," Radel said in a statement. "However, this unfortunate event does have a positive side. It offers me an opportunity to seek treatment and counseling," his statement said. "I know I have a problem and will do whatever is necessary to overcome it, hopefully setting an example for others struggling with this disease." The cocaine possession charge, a misdemeanor, carries a statutory maximum of six months in prison and a fine of $1,000. Radel appears to be the first sitting member of Congress charged with a drug offense since then-Rep. Frederick Richmond, D-N.Y., was convicted in 1982 on charges of tax evasion and drug possession. A spokesman for House Speaker John Boehner said the allegations are a matter for the courts, and Florida Republican Party Chairman Lenny Curry said he was disappointed in Radel but glad that he is seeking help. "Beyond that, this is between Rep. Radel, his family and his constituents," said Boehner spokesman Michael Steel. Radel, 37, was elected in 2012 to represent the 19th District of Florida, which includes the Gulf Coast communities of Fort Myers and Naples. He was a radio host before becoming a congressman. He identifies himself on his Twitter profile as a "Hip Hop conservative" and "lover of #liberty" and his Twitter account has remained active in the last few weeks, including on the day of the bust. Among the bills he's co-sponsored during his freshman term is legislation to amend the country's mandatory minimum drug sentencing laws. A member of the House Foreign Affairs Committee, he voiced opposition to proposed military strikes against Syria. After website hang-ups this fall frustrated the opening of new health insurance markets created by the health care law, Radel said a 14-year-old could build a better website "in an afternoon in his basement." He told of a brief personal connection to President Barack Obama in a recent Associated Press interview. "I got to shake his hand, meet him, actually shared a little moment," Radel said, recalling the GOP conference meeting in March. "I lived in Chicago a couple of years and I know for a fact that he used to frequent a blues club where I'd hang out." He is married and has a young son. "As the father of a young son and a husband to a loving wife, I need to get help so I can be a better man for both of them," he said in the statement. Associated Press writers Alicia A. Caldwell and Laurie Kellman contributed to this report.